People all over the world talk about freedom. We all long for being completely free from something that binds us. When we are called upon to do the right thing in any situation of our life and if we follow through doing it correctly, then we come to taste freedom. What is the right thing to do? How do we know this? In life, each one of us must have come to a point where we have questions similar to this. Sometimes we know what is the right thing to do and sometimes we don’t. Sometimes we know what is the right thing to do but we still don’t do it. Doing right is following our own understanding without considering our personal preferences. For example, a person generally knows this. Overeating, not exercising and having regular late nights, lead one to be unhealthy. If a person chooses to continue with these habits then he has not yet developed the capacity to do what’s right. Whereas, if a person decides to be healthy, assesses himself and makes changes doing the right thing, he gains an improved self. 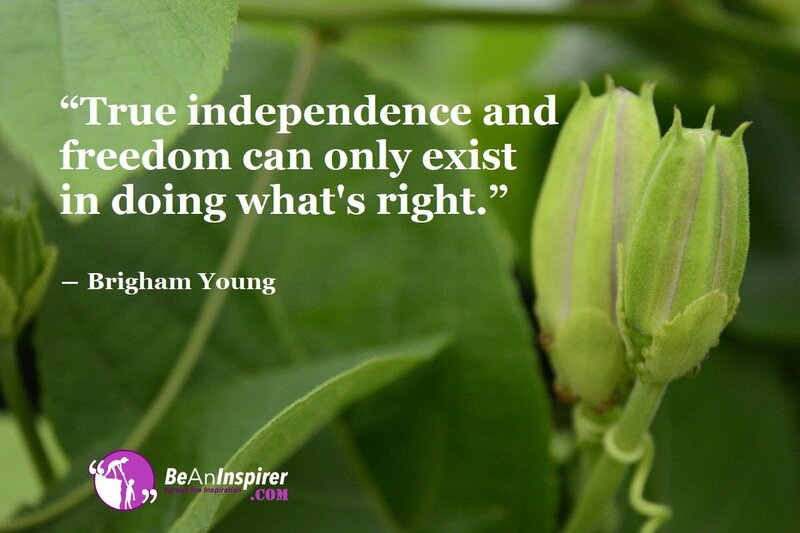 Doing what’s right leads one to being completely free. It frees one from old habits and patterns that were once keeping him bound. This is a brilliant question. The answer lies in how we feel about doing what’s right. Here’s a game that you could play. It will help you determine whether something that you are thinking would be a right thing to do or not. Say for instance you have a situation where you are to take an action on something. But you are not sure what’s the right thing to do. Close your eyes and imagine yourself doing it and completing that action. If you feel uneasy and uncomfortable, then it’s not the right thing to do. If you feel calm and confident, then it’s best to go ahead with the action. Doing right is about going beyond your personal preferences and comforts. With this exercise you can take the help of your imagination and find out what’s right. Doing what’s right is really very simple. It is only our own resistance towards doing right that makes things complicated. Doing rightful things leads one to freedom. Even doing one right thing that can take you forward towards being better. What is that one small step that you can take now that will make you do what’s right? Share your comments below to begin a thoughtful conversation.